It's an excellent story, but it's not SFF at all. 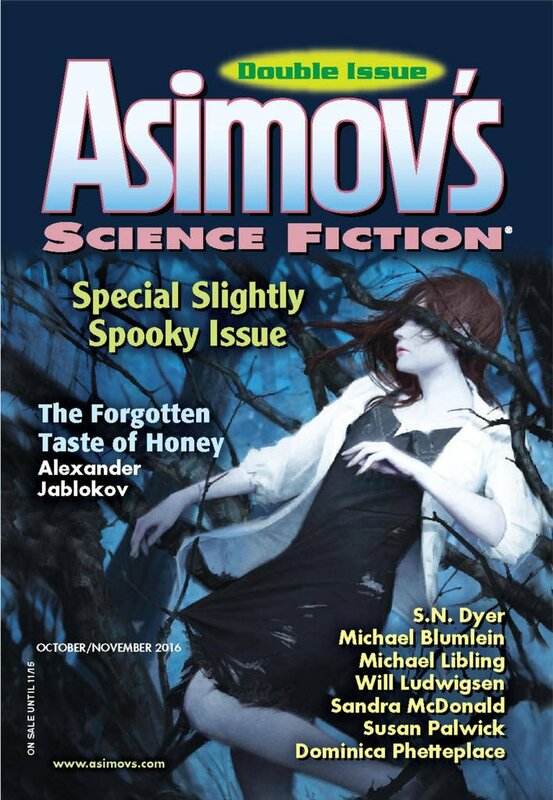 "The Leaning Lincoln," by Will Ludwigsen, appeared in Asimov's Science Fiction issue 10-11|16, published on September 22, 2016 by Penny Publications. Pro: It's an excellent story, with great dialogue, transparent narration, and a plot that takes you by surprise. Con: Part of the plot is that Scotty accepts that the figure has no magic to it. Otherwise it would be a horror story, but, as it is, it's just a growing up story. The bit at the end with him leaving the Lincoln on the table while his father dies is a little weird, since it leaves us thinking that maybe he still did believe in the curse--except wouldn't it have affected him over the past thirty years?